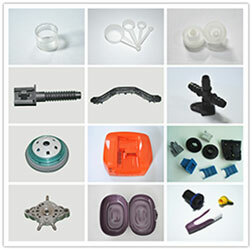 Injection mould is an indispensable tool in the plastic injection moulded parts production industry. Injection mould is generally composed of a total of seven systems: casting system, guiding system, forming system, core pulling system, ejector system, cooling system and exhaust system. The injection mould design is a very important step in the manufacturing of injection mould. 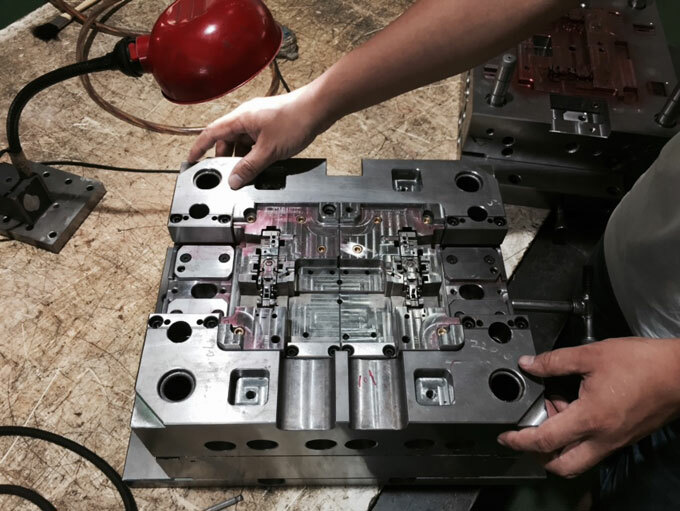 In the design process, we need to take into account all aspects, so that finally the designed injection mould is able to meet the production needs. 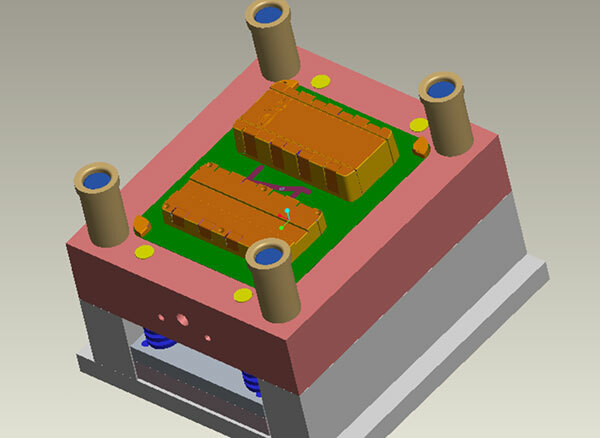 And then what are the points need to pay attention in the injection mould design process? All kinds of plastic parts have a certain range of wall thickness, generally is 0.5 to 4 mm, when the wall thickness exceeds 4 mm, it will cause cooling time is too long, resulting in shrinkage and other issues, so we should consider changing the product structure. Uneven wall thickness will cause surface shrinkage. Uneven wall thickness can cause porosity and weld marks. The rational application of stiffeners can increase product rigidity and reduce deformation. The thickness of stiffener must be equal or less than (0.5-0.7) T of product wall thickness, otherwise it will cause surface shrinkage. The unilateral slope of stiffeners should be greater than 1.5 degree to avoid top injuries. Too small a fillet may cause stress concentration of product which lead to cracking of the product. Too small a fillet may cause stress concentration of mould cavity which result in cracking of the cavity. Setting a reasonable fillet can improve the processing process of mould. For example, the cavity can be directly processed with an R knife milling, which avoid inefficient electrical machining. Different fillets may cause movement of the parting line. Selecting different fillets based on the actual situation, or know the basic points of injection mould design. The mould opening direction and parting line should be determined first at the beginning of the design of each injection moulded product, to reduce the influence of the core sliding block mechanism and the eliminated parting line on the appearance. After determining the mould opening direction, the structure of the stiffeners, buckles, and protrusions of the product can be designed to be consistent with the direction of mould opening as far as possible to avoid the core reducing weld line to increase the service life of injection mould. 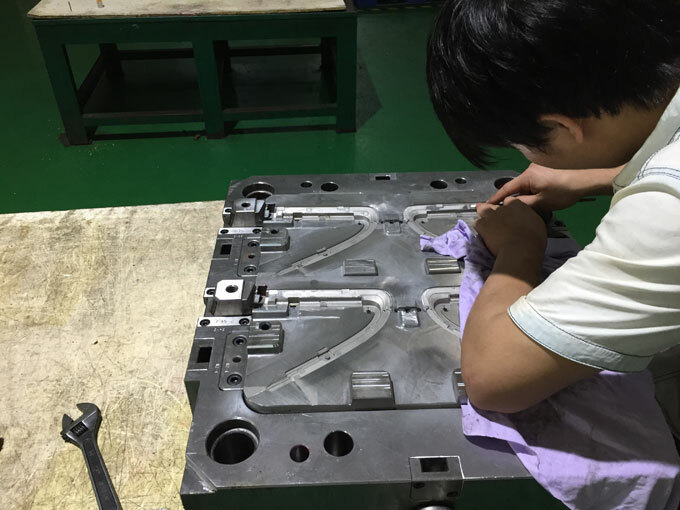 After confirming the mould opening direction, we can selecting an appropriate parting line to avoid undercuts in the mould opening direction to improve the appearance and performance. Appropriate demoulding slope angles can avoid product pull-ups. The demoulding slop of the smooth surface shall be equal or greater than 0.5 degrees, the surface of the fine striae (sand surface) shall be greater than 1 degree, and the surface of the rough striae shall be greater than 1.5 degrees. Appropriate demoulding slop can avoid the top injuries of the product, such as the top white, top deformation, top break. 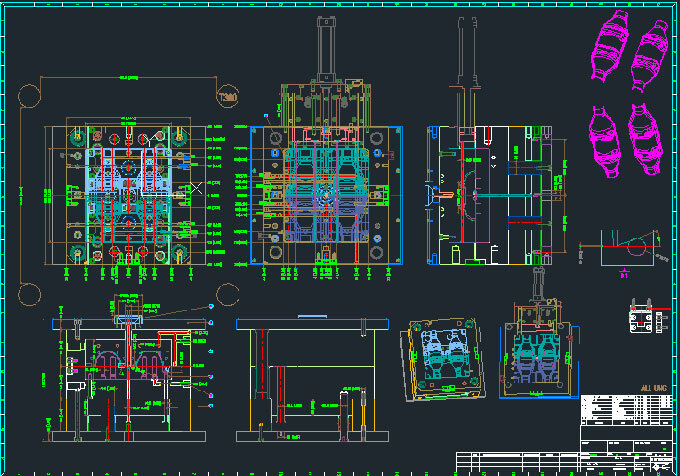 This is the basic requirements of injection mould design. When designing deep cavity products, the slope of the outer surface should be greater than the slope of the inner surface as much as possible to ensure that the mould core doesn't deviate during injection moulding, uniform wall thickness of the product is obtained, and the material strength of the open part of the product is ensured. The shape of the hole should be as simple as possible, generally is round. The axial direction of the hole is the same as the direction of mould opening, so core withdrawal can be avoided. When the length-diameter ratio of the hole is greater than 2, the demoulding slope should be set. The diameter of the hole at this time should be calculated according to the size of the minor diameter (maximum physical size). The length-diameter ratio of the blind hole is generally not more than 4 to avoid hole punching. The distance between the hole and the product edge is generally greater than the hole diameter size. moulding, the accuracy of injection moulded parts is significantly lower than the metal parts. The dimensional tolerances standard of mechanical parts can't be simply and mechanically adopted. The appropriate tolerance requirements should be selected according to standards. China issued GB/T14486-93 , the "Engineering Plastics Injection moulded Parts Dimentional Tolerance" in 1993. The designer can determine the dimensional tolerances based on the requirements for the use of plastic raw materials and plastic injection moulded parts, and the standards in the issued regulations. Meanwhile, according to the comprehensive strength of the injection moulding company and the precision of products design of peers to determine the appropriate design tolerance accuracy. Injection mould design should avoid the flat structure, should set the flange, bump structure. Setting reasonable stiffeners. Below is the design basic points of improving the rigidity of injection moulded products and reducing the deformation injection mould design. The buckle position device is designed to be used at the same time as a plurality of buckle positions, so that the overall device will not be unable to operate due to the damage of individual buckle positions, thereby increasing its service life, and then increase the fillet to increase the strength. The dimensional tolerances related to the buckle position have very strict requirements. Overmuch undercut positions will cause damage to the buckle position. On the contrary, the too few of undercut position will cause that the assembly position is difficult to control or the assembly part is too loose. The solution is to reserve the possibility of modifying the mould to add glue.